A graduate of the University of Waterloo and the Ontario Institute for Studies in Education at the University of Toronto, Nadia teaches French and music in Toronto public schools, presently at the Africentric Alternative School. Her non-fiction books, Music and Media are part of Rubicon Publishing’s Sankofa series, which has won an award for multicultural writing. Nadia is also a musician and artist. She is a singer, plays piano, saxophone, and clarinet, and she has studied Orff-Afrique drumming in Ghana. She exhibits her drawings in local art shows and aspires to illustrate her own picture books. Nadia’s writing includes poetry, magazine and newspaper articles, and blogging. 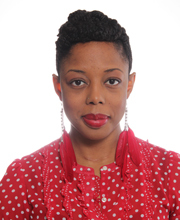 She is a member of the Canadian Society of Children’s Authors, Illustrators and Performers (CANSCAIP), the Society for Children’s Book Writers and Illustrators (SCBWI), and she organized the first meeting of African-Canadian Writers for Children and Young Adults (ACWCYA). 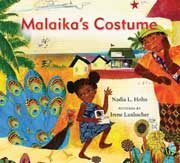 She is currently working on the sequel to Malaika’s Costume, as well as a middle-grade novel.